In preparation for a new software release, I completed an overhaul of the entire Enterprise Director application, improving the workflow and enhancing usability. The Enterprise Director acts as an administrator of the system. 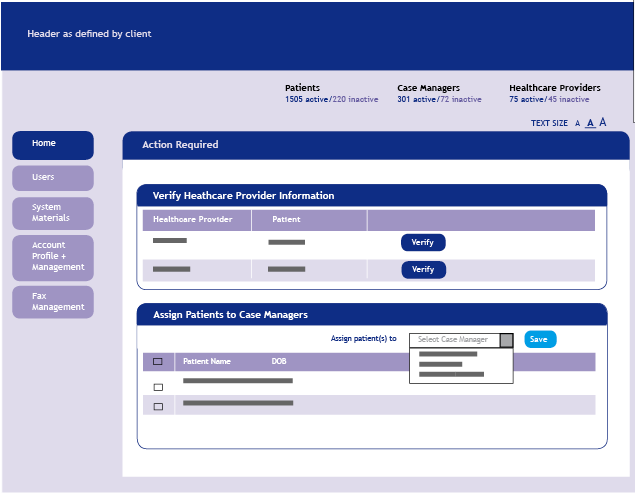 From the homepage, he or she complete two key functions: verifying healthcare provider information entered by a patient and assigning patients to case managers. On the original homepage it is unclear what a user is expected to do with the information presented. Key functionality is also hidden in the “For Your Attention” sidebar. I redesigned the homepage, adding grid headers to indicate what action user is taking (“Verify Healthcare Provider Information” instead of the ambiguous “HCP Data”) and using buttons instead of links for better visual affordance. 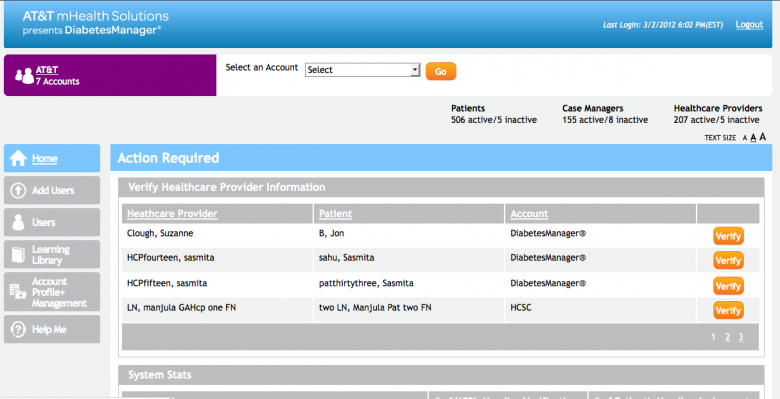 The system information (number and type of users) was moved from the sidebar to the top of the page and functionality for assigning patients to case managers can now be completed in bulk.